On Sunday, July 8th, 2018, The Shiloh Police Department was called to Target, 3400 Green Mount Crossing Drive, to investigate the theft of a cellular phone. The suspect was reported to have departed from Target towards Arby’s, 3180 Green Mount Crossing Drive. The suspect was located and taken into custody at Arby’s and the results of this investigation were submitted to the St. Clair County State’s Attorney’s Office for review. On Tuesday, July 10th, 2018, St. Clair County Assistant State’s Attorney Elizabeth Nester issued a one-count warrant #18CF0105001, for Retail Theft Subsequent, a Class 4 Felony, charging Christopher E. Ward Jr., 26, of the 3900 block of Memorial Drive in Belleville with the above crime. The warrant was reviewed by St. Clair County Judge Zina Cruse and she set Ward’s bond at $25,000. 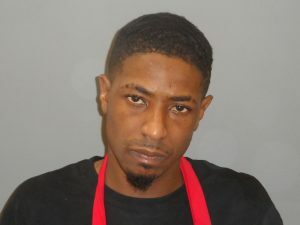 Ward is currently in custody at the St. Clair County Jail for want of bond.